Q: I want to be pimple free before my holiday parties and even new years eve…how!? A: Why is it that people often get a huge pimple before a special event? We know there are many potential causes that can exacerbate acne, and one that can do a number on you is stress. The holidays can be a great time, but also stressful…stress hormones can trigger excess sebum and before you know it, you’ve got some nasty breakouts right before a fun night out. Before your NYE party or any special event you are looking forward to, it’s so important to add in a few important things you can do to give your skin its best chance of shining! - Wash your pillowcases regularly! Doing this before your event can help to ensure you don't expose your skin to any extra dirt and bacteria. The same goes for keeping your cell phone clean and away from your face. - Speaking of keeping things away from your face, make sure not to touch your face throughout the day. Even resting your hand against your face invites more oil and bacteria to that area. - Wash your hair regularly, or keep it in a ponytail a week before the event. The oil from your hair, or even the silicone based hair care products, can cause congestion in your pores. 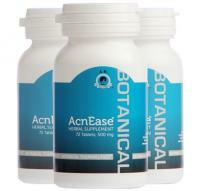 -Try increasing your AcnEase dose at least one level about two weeks in advanced. If you don’t know how to do this, contact us NOW! 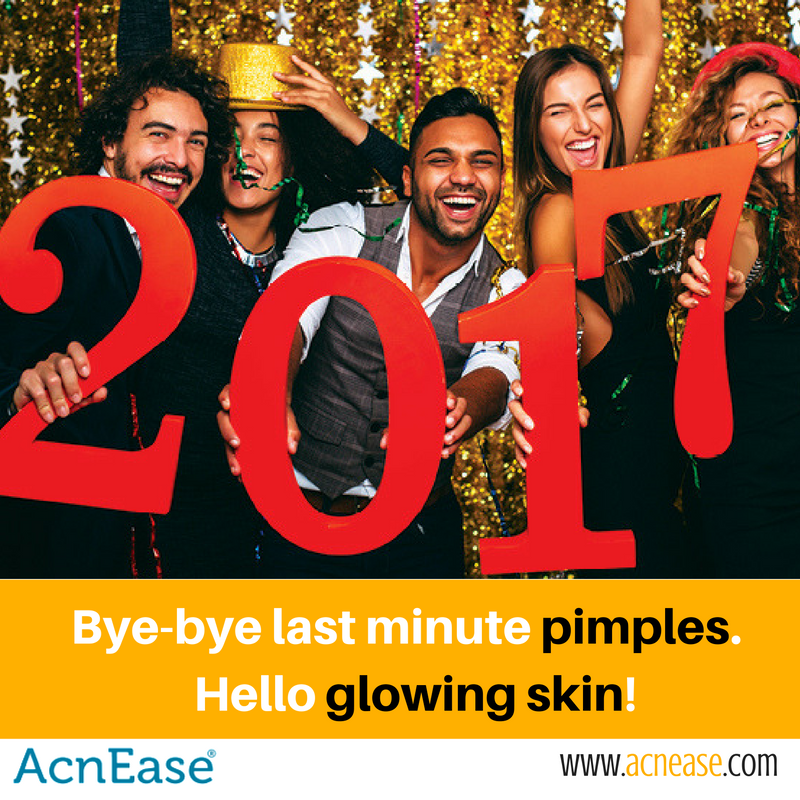 This will ensure that you are giving your body some extra fighting power from the inside, which we all know is the only way to treat acne! - Do gentle exfoliation. I just talked about this topic of exfoliating for acne recently. You can use a very gentle enzyme exfoliate or scrub daily to keep your pores clear. Also, you may want to add a few extra clarifying and hydrating masks (only if this is part of your skincare regimen already). The week before is for gentle pampering, nothing extreme or new. This is not the time to deep clean your skin or try new products. Stick with the routine you know works and give your skin some extra attention, but of the gentle persuasion. And always remember to take extra care if you have open cysts. - Get a facial 1-2 weeks before the event. Again, with severe acne this is not a good idea, but you may want to try some professional extraction, which will also deeply hydrate your skin as well. Also, if you get one at least a week before, you will have some time to recover if your skin purges after, which is quite common. -Try lessening your dairy intake. Dairy can trigger acne flair ups for some, so try to lessen the cheese, butter and/or milk or hold it all together starting NOW. - Amp up the exercise! When you exercise, you sweat out toxins in your body, stimulate the lymph system and oxygenate your tissues. Your skin glows from happiness – with exercise, you’re enabling it to be "well fed". Make sure to wipe the sweat off immediately after though (and if possible, take a shower), as sweat can dehydrate your skin, and the toxins can cause inflammation. - Increase your water intake! This should actually be at the top of the list because this is the easiest way to detoxify your body. Most people do not drink enough water. I have seen incredible changes in people’s bodies when they take this advice seriously. Water will flush out your system by moving along toxins and waste, and hydrate your body. Drink half the amount, in ounces, of your body weight. If you weigh 120lbs, try to drink 60 ounces of water daily. So drink up and be merry!